Class Summary: What is the internet? A computer network is a series of points , interconnected by communication paths for the purpose of transmitting, receiving, and exchanging data, voice and video traffic, while the internet is a global computer network providing a variety of information and communication facilities, consisting of interconnected networks using standardised communication protocols. It’s easy and very common to confuse both of these things, since they are both interconnected. Tim Berners-Lee is an English engineer and computer scientist, best known as the inventor of the World Wide Web (www…). He made a proposal for an information management system in 1989 and he implemented the first successful communication between a Hypertext Transfer Protocol (better known as HTTP) client and server via the internet. ARPANET (Advanced Research Projects Agency Network) was a Defense Department research project. It researched how to create a communication system that might actually survive a nuclear attack, and was later found out that a distributed packet-switched network could survive and work much faster. Nobody/everybody runs the internet. The internet is made up of a large number of independently operated networks. All the different devices on the internet have unique addresses. An address on the internet is just a number that’s unique to each device on the network. The address system for computers on the internet is similar to mail services. A computer’s address is called IP Address. Visiting a website is really just your computer or phone asking another computer or phone for information. IP Address numbers are organised in a hierarchy. Each of the numbers is represented in bits. Traditional IP Addresses are 32 bits long with 8 bits for each part of the address. It is classed by country, region, subnetwork and the address of the specific device. This kind of IP Address is called IPv4. It was designed in 1973 and was widely adopted in the 80’s, and provides more than 4 billion unique addresses for devices. The IPv6 is a much more modern and longer, that uses 128 bits per address and provides over 340 indecision addresses. DNS associates names like http://www.example.com with the corresponding addresses. Your computer uses the DNS to look up domain names and get the associated IP address which is used connect your computer to the destination on the internet. DNS servers are connected in a distributed hierarchy, and are divided into zones splitting up responsibility for major domains such as .org, .net, .com, etc. DNS was created to be an open and public communication protocol for the government and educational institutions. Because of it’s openness, DNS is susceptible for cyber attacks. An example of this is DNS Spoofing. This is when a hacker taps into the IP Address and changes it to match a domain name with the wrong IP Address. The text of a webpage is included directly in the HTML, but other parts like images or videos have their own separate files with their own URL’s that need to be requested. The browser sends separateHTTP requests for each of them and displays them as they arrive. If a web page has many different images, each of them causes a separate HTTP request, making the page slower. When you browse the web you are not just requesting pages with GET requests. Sometimes you send information when you fill out a form or type a search query. Your browser sends this information in clear text using an HTTP POST request. A website cookie is what websites use to remember who you are. Cookie data could be viewed as an ID card. 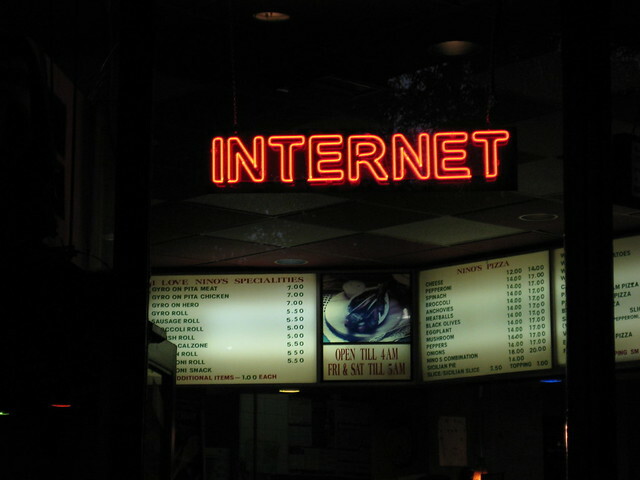 The internet is completely open, it’s connections are shared, and information is sent is plain text. This makes it possible for hackers to see any personal information you send on the internet. But, safe websites prevent this by using Secure Sockets Layer (SSL) and Transport Layer Security (TLS). This could be viewed as a layer of security wrapped around your communications. You know these are active when you see the little lock by the HTTPS. The HTTPS Protocols ensure that your HTTP requests are secure and protected. When a website asks your browser to engage in a secure connection, it provides a digital certificate, proving the website is what it claims to be. If a website has a janky certificate, your browser will warn you. TCP/IP and Routing: Break down and transfer information into small packets. Wires, Cables and Wi-Fi: Binary sequences of ones and zeros are sent basically. In my blog I will talk about my personal interests with some homeworks of my inf105 class. I could possibly post about movies, music, art, etc.